Palawan is dubbed as the Philippine’s last frontier. A little more rustic than the rest of the country, Palawan is spectacular. El Nido and Coron are largely considered the jewel in Palawan’s crown. While getting to Coron is a little easier, until recently getting to El Nido was challenging and that is likely what has protected it from mass tourism. 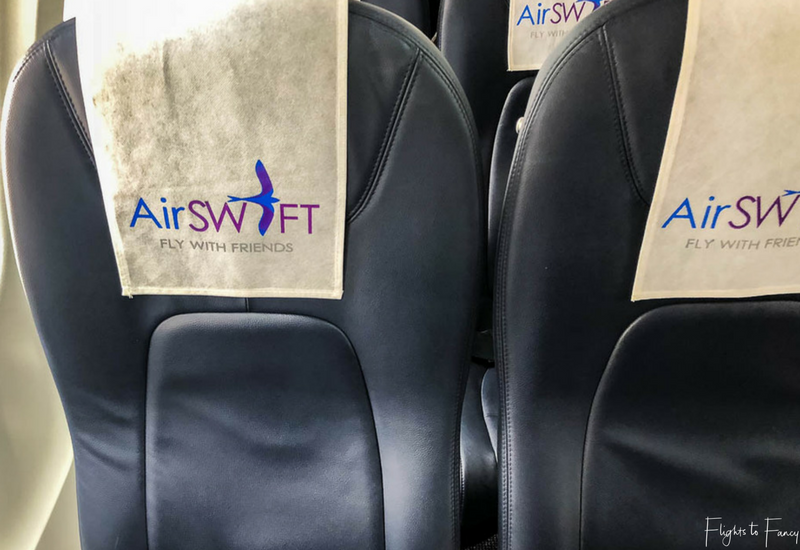 AirSWIFT Airlines is still the only airline flying directly to El Nido and the prices are steep so I’m not expecting a flood of budget travellers to be jumping on board any time soon, but for us it was perfect to make the best use of our time. 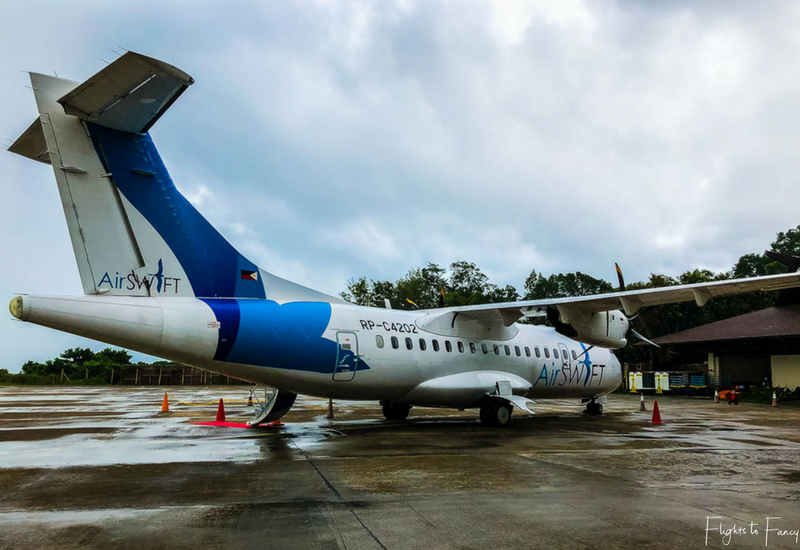 AirSWIFT Airlines is a boutique airline which started flying in 2002 under the banner of Island Transvoyager to fill the gap for time poor island hoppers. AirSWIFT Airlines currently has a fleet of 3 ATR-42 600’s and is one of the Philippines fastest growing airlines. 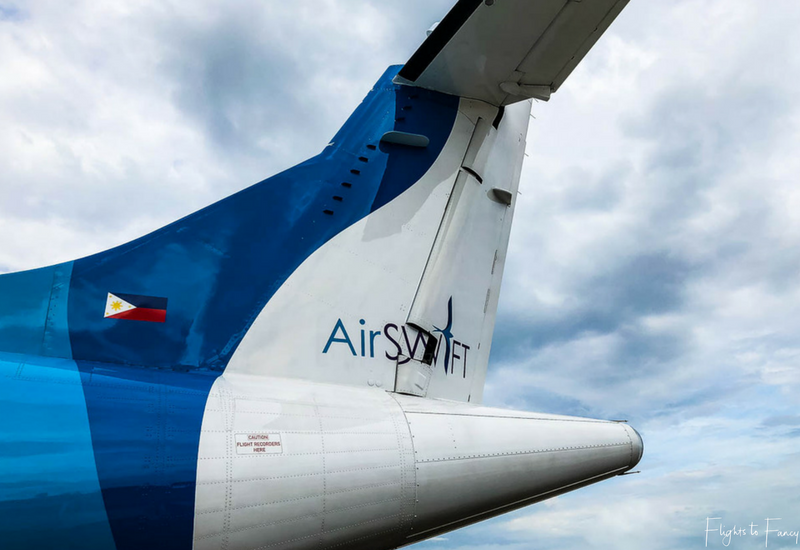 AirSWIFT Philippines plans to add another aircraft each year for the next three years bringing their total to 6. 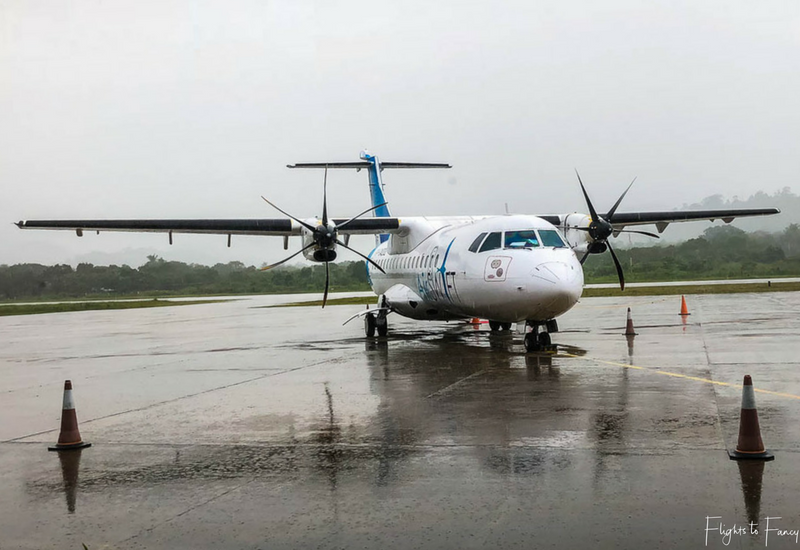 The ATR-42 600 is a leader in the turboprop market and is ideally suited to island hopping as it can handle the short, narrow runways with ease. AirSWIFT Airlines currently flies to Manila (MNL), Basco (BS0), Caticlan (MPH), Cebu (CEB), Davao (DVO), El Nido (ENI) and Puerto Princesa (PPS). They do not have direct flights between all destinations but if you are looking for a direct flight to El Nido you can get one from Caticlan (gateway to Boracay), Cebu, Clark or Manila. Unsurprising the flight from Manila to El Nido is the most popular and there are 5 flights a day. Both Cebu and Caticlan have daily flights to El Nido and there are four flights a week from Clark to El Nido. AirSWIFT Philippines’ expansion plans include commencing flights from Manila to Sicogon once the airport is complete. The booking process is not quite as slick as with the bigger airlines. We booked direct through their website which is the easiest and cheapest way. I was price watching for weeks before booking and had a Skyscanner alert registered but the price didn’t fluctuate at all. 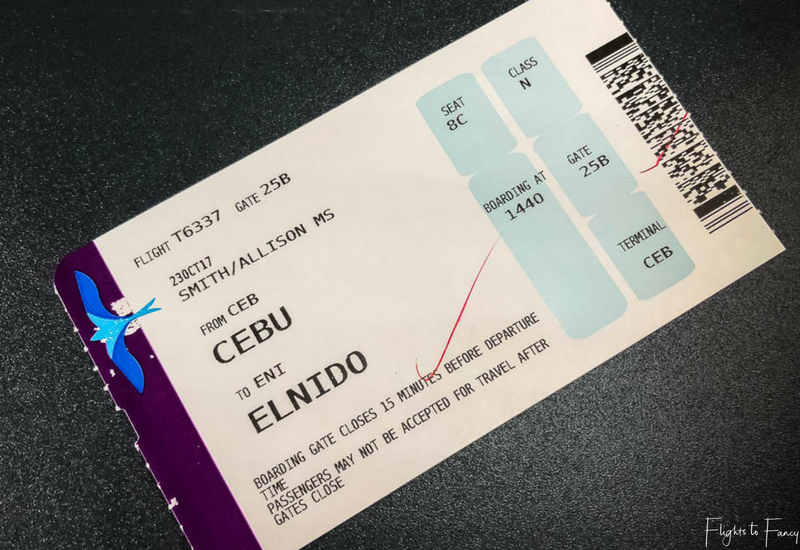 At PHP13,320 (AUD$330) for two one way tickets from Cebu to El Nido this was without a doubt the most expensive internal flight we took during our two weeks in the Philippines. You have no idea how much it pained me to have to pay full price which is something I pride myself on never doing. 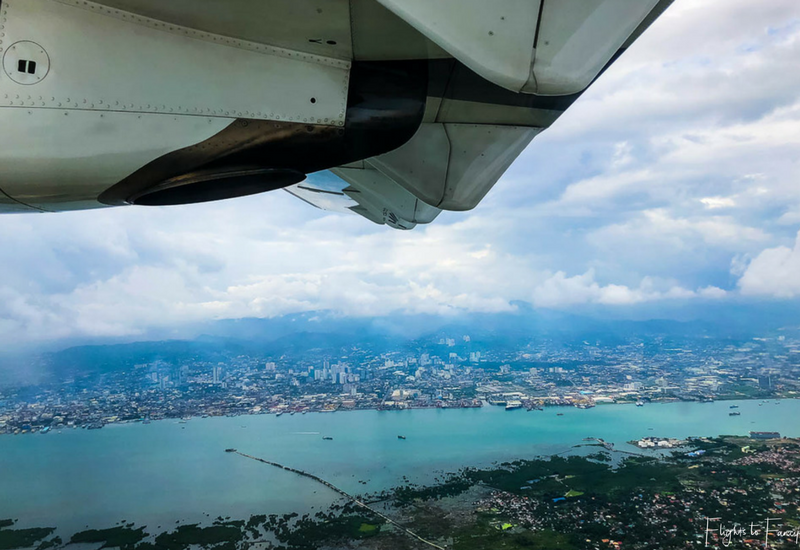 Right until the very end I was considering the Cebu to Puerto Princesa flight with Cebgo for only PHP1,992 (ADU$50) but our time was valuable and it would have put us 12 hours behind schedule which was a compromise too far. 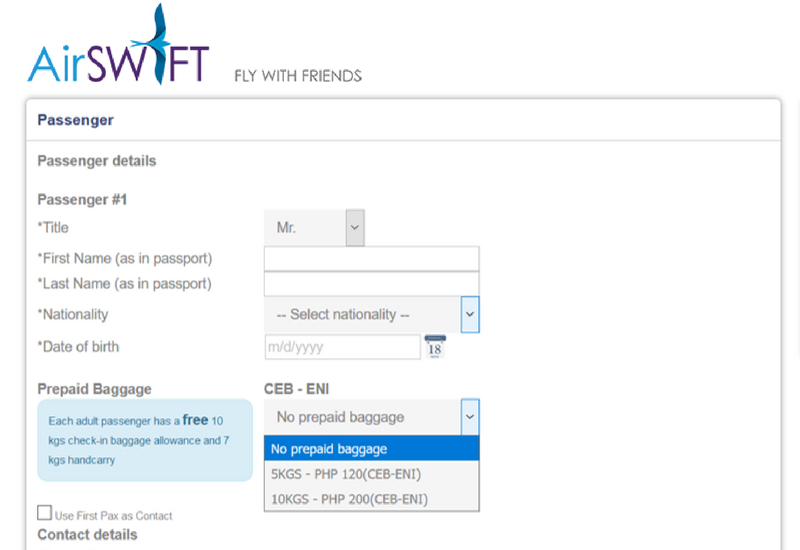 Each AirSWIFT Airlines ticket comes with 10kgs of checked luggage and 7kgs of carry on. Try as I might I could not find and option to add extra luggage during the booking process. Why? Because it wasn’t there! When I booked the only way to add extra baggage was to email them after booking. I’m very pleased to see they have now rectified this glitch and you can add either and extra 5kgs (PHP120 AUD$3) or 10kgs (PHP200 AUD$5) with the click of a mouse. It’s truly refreshing to see an airline that does not try to gouge passengers ridiculously for additional baggage. Our flight from Cebu to El Nido departed at 3.15pm. We spent the previous night at Movenpick Mactan Island which was just 6 short kilometres away. 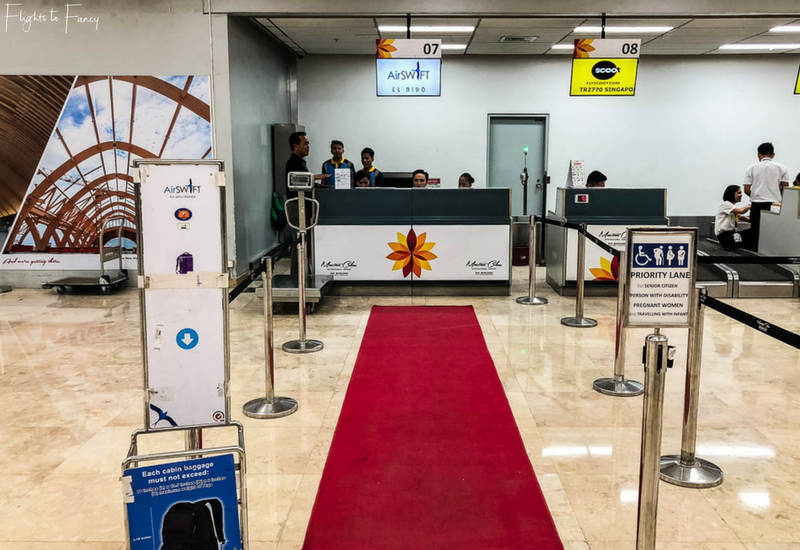 AirSWIFT Airlines departs from the north terminal at Cebu Mactan International Airport and of course our Uber driver dropped us off at the wrong one. Luckily the correct terminal was only a short walk away. Cebu is one of the only airports in the Philippines you are able to step inside without a full security check. You will need to pass though two more though before the day is done but at least you can get inside without drama. Check in opens 2 hours prior to departure and closes 45 minutes before take off. Befitting the prestige reputation of AirSWIFT Philippines, a red carpet leads the way to the check in counter. We arrived at about 2pm for our 3.15pm flight and we told there was a possibility of leaving early. ATM’s are available in the terminal and I suggest you use one before you leave because they are scare in El Nido and cash is king. As promised, the boarding call came out early and all but two passengers eagerly boarded the bus. Last calls rang out through the terminal and the errant two finally scrambled on board 15 minutes later. There is a short bus ride from the terminal to the plane and boarding the ATR-42 600 is from the rear via stairs built into the aircraft door. We only had 8 people on our flight so it was a breeze. As promised we took off 30 minutes ahead of schedule which has to be a first for me! 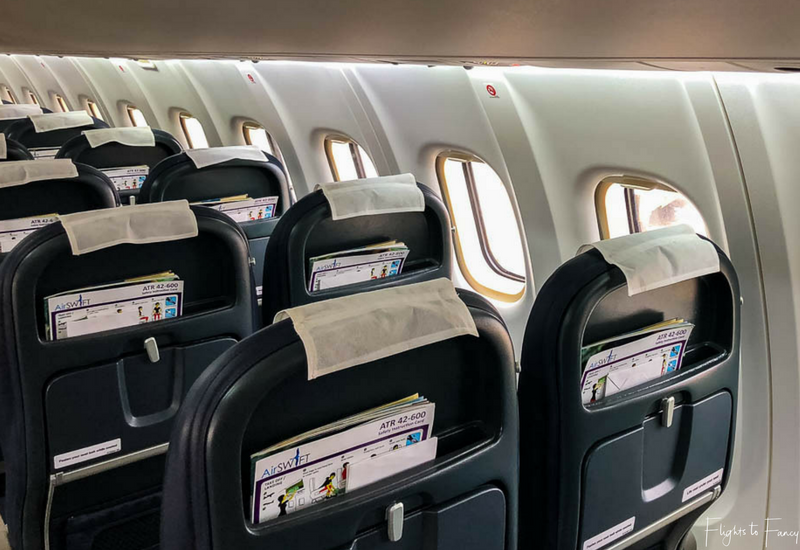 The ATR-42 600 is a leader in the turbo prop market and has the widest cabin in its class with the 48 passengers seated across thirteen rows in a 2×2 configuration. We were allocated seats 8C&D, right under the wing. It’s quite a strange sensation being underneath the wing but it does provide far greater visibility. Well it would if there was anything to see. Even though we flew quite low on our Cebu to El Nido flight the pesky clouds meant we only got the odd peek of the stunning Philippines islands below. 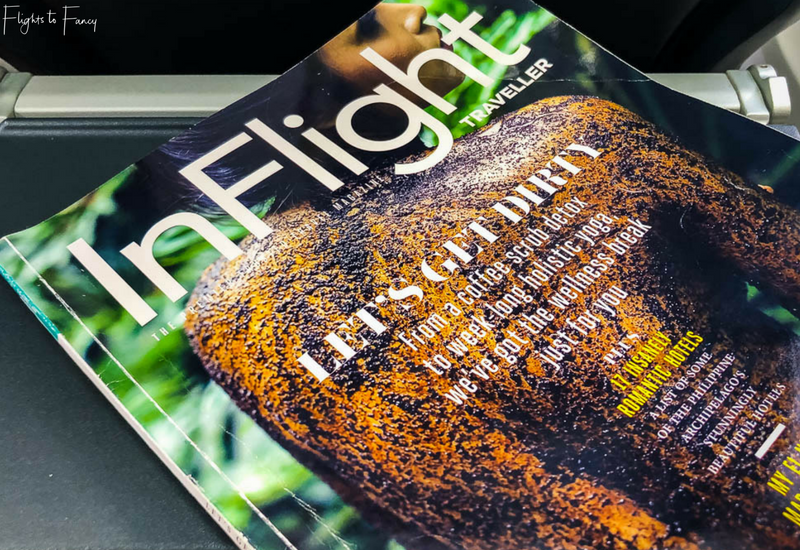 Once on board I immediately got a sense of newness and a quick check of the inflight magazine revealed two of AirSWIFT’s three ATR-42 600’s were built in 2016 and the last is only three years old. The cabin has the feel of a private jet and its probably as close as I am ever going to get to flying in one. The immaculate leather bound seats come with ample leg room and a small tray table. 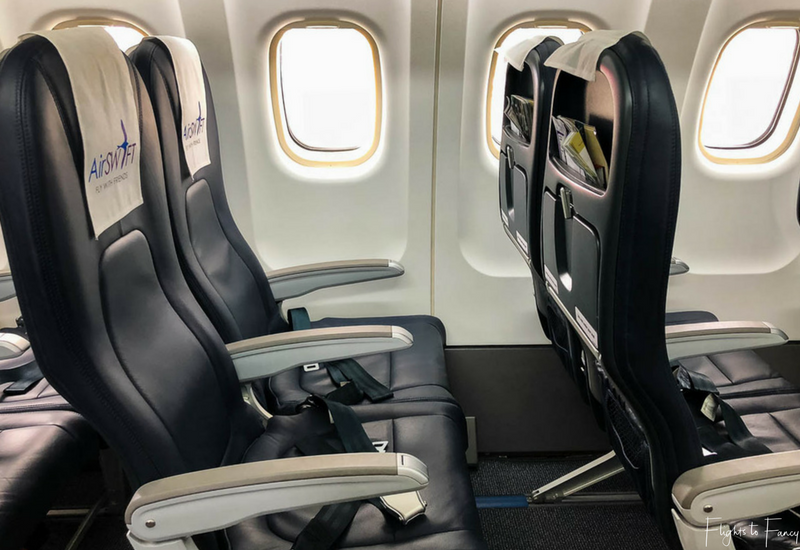 The seat recline is minimal but is hardly needed on such a short flight. 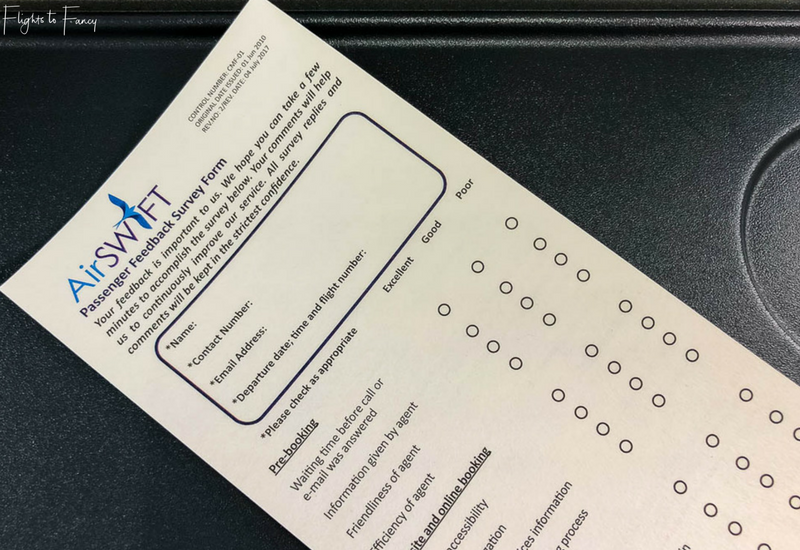 I have to admit AirSWIFT Airlines are the only ones who have ever asked me to fill in a survey in flight. 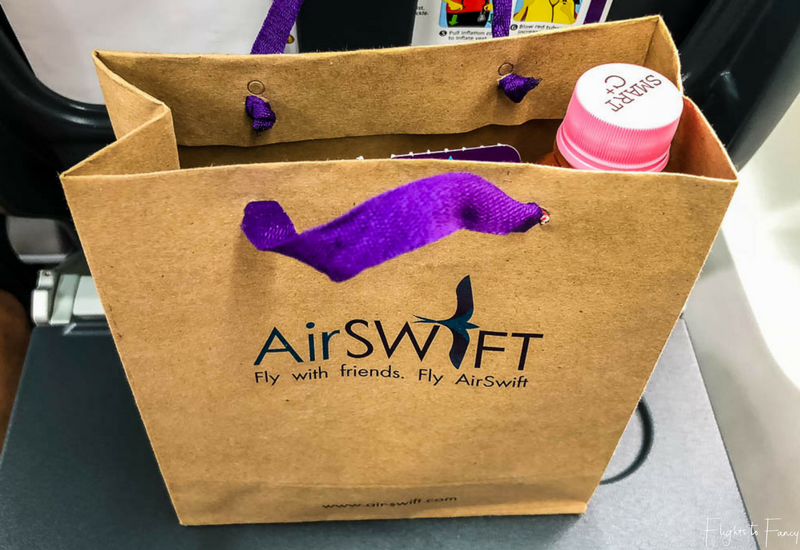 At the boarding gate AirSwift Airlines supplied each passenger with a goodie bag containing a sandwich, a muffin and a drink. Many tucked in straight away but I saved mine for the flight. When I unloaded the contents I realised the sandwich was fish. I don’t eat fish. I was gutted. The Hubs tells me it was pretty good and ever the gentleman he gave me his muffin. Yep I had two chocolate muffins for lunch. What else is a girl to do? Our flight from Cebu to El Nido made good time and we landed well ahead of schedule at 4pm. 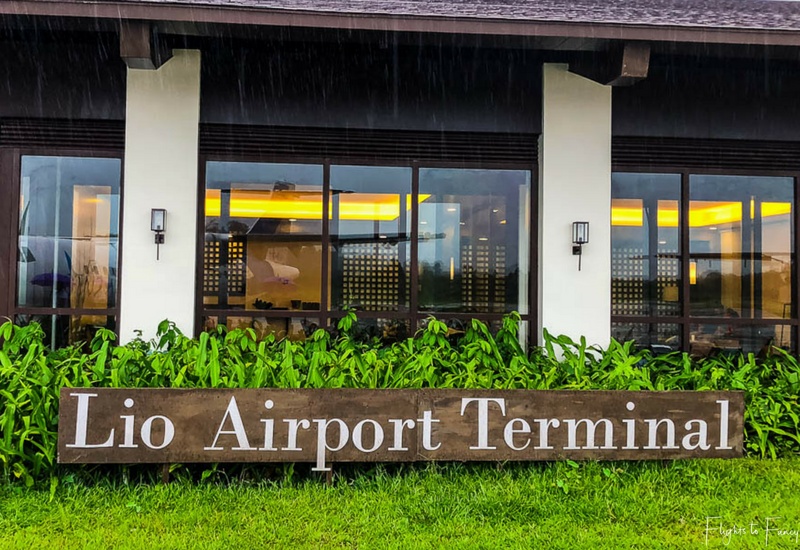 The rain was persistent but AirSWIFT El Nido ground staff were on hand with umbrellas for the short walk to the terminal. They are no carousels for luggage but the staff will check you baggage receipt so make sure you hang on to it. If you haven’t organised a transfer the only way to get into town is by tricycle. It cost us PHP350 for a ride to our hotel One El Nido Suite and was not ideal during the downpour. We had a pleasant flight with AirSWIFT Airlines. 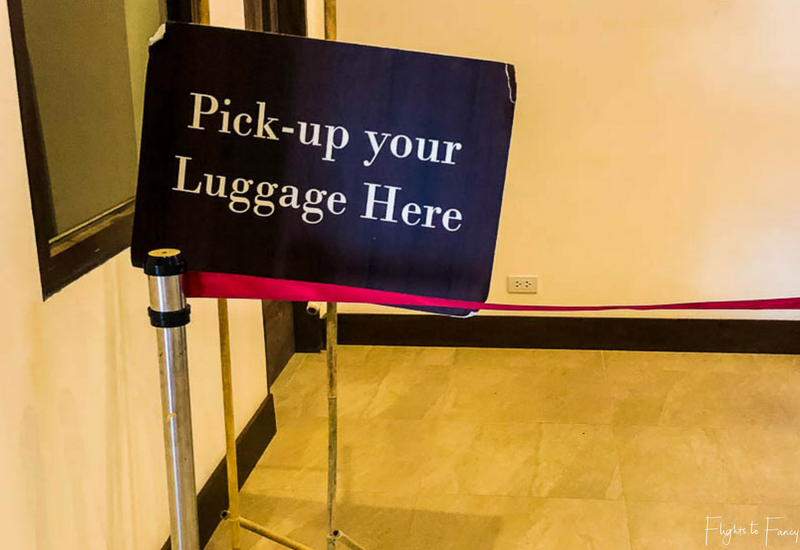 Customer service is obviously a high priority and we appreciated the little touches like red carpet entrances, complimentary snacks at the airport and umbrellas on arrival. I also really appreciated that they didn’t gouge us with exorbitant baggage fees as so many airlines do. I’m not going to lie, the prices are steep but for the convenience of flying direct into El Nido it was a price I was willing to pay. Have you been to El Nido? How did you get there? I’d love to hear about your experience in the comments below. Pin “Airswift El Nido Review” for later! Disclosure Statement: This post is not sponsored. I paid for my AirSWIFT Airlines flight in full. The information in this article is based on my own personal experiences and has not been influenced in any way by the brand(s) featured. This post contains affiliate links which if clicked may earn me a small commission on purchases at no extra cost to you. Hi Allison! I’m facing an issue, maybe you know sth about! I’m a booking a flight El Nido-Cebu, announced at PHP5100, then after accepting terms it climbs to 5300, then to 5420 when they offer an insurance, which I decline but the price nevers lowers back! Did someone faced that too? The airline hasn’t answered my emails so far. Regards! Hey Fernando. The fees and charges will always add in to the base price but it is very strange that you can’t cancel the insurance. I certainly didn’t have that issue. Maybe try giving them a call? 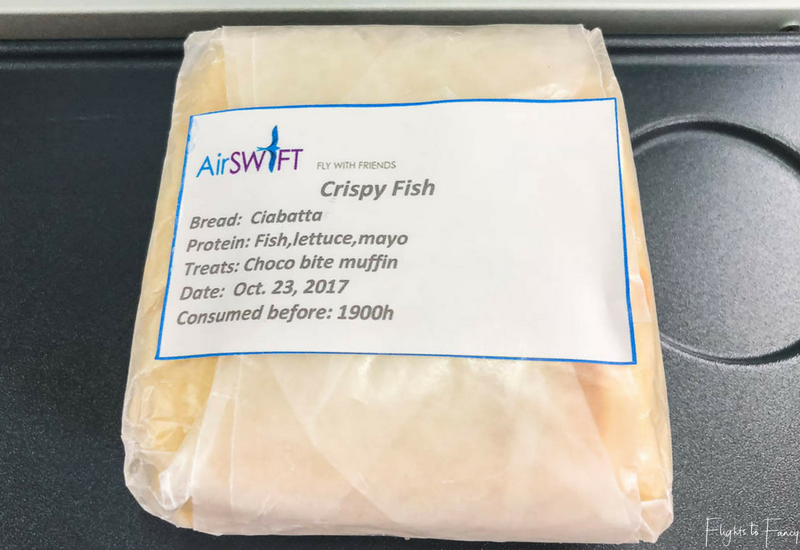 It’s such a shame that in spite of staying in the Philippines for three years I never tried AirSWIFT Airlines. The concept of a boutique airline sounds so great to experience in an archipelago. I wish this airline route existed when I unnecessarily traveled from Boracay to Manila to go to El Nido. Ended up wasting so much money and time. Glad to know it won’t be the case anymore. I was on Air Swift exactly a month ago, flying from Boracay to El Nido. You’re right about them capitalising on routes that were not being covered before and I am so glad they did. 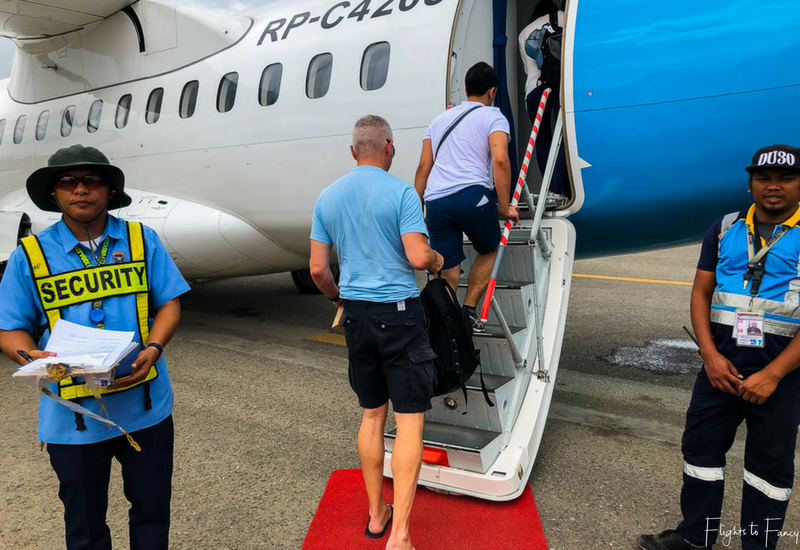 They’re the ONLY airlines that fly from Boracay to El Nido and I was thankful to have found them because else the option would’ve been to fly to Puerto Princessa (just like from Cebu) and then do the 8-hour road journey to El Nido. The flight was late on schedule but at least there was an option! Omg yessss! 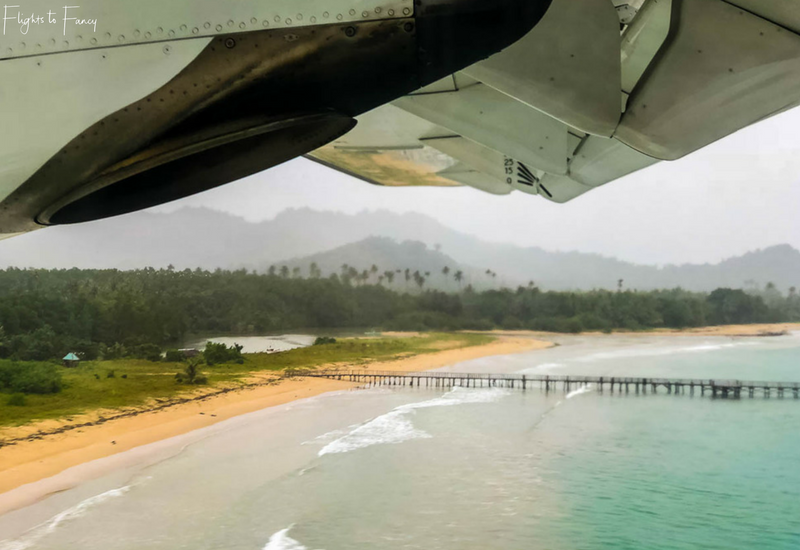 I am so happy to hear about Airswift Airlines – I have been looking at visiting Palawan in the Philippines, but just getting there seemed like such a hassle. So of course learning about this direct flight from Cebu to El Nido puts this part of the Philippines back on my list! And it’s great to hear that they take customer service very seriously! Plus the goodie bags with food is a nice touch. Thank you for sharing. Love the red carpet welcome! A nice little touch to make passengers feel more welcome and special. It’s my dream to visit the Philippines – so this is very helpful information. I was shocked at how much you had to pay for the airfare though! As everything else in the Philippines is far more affordable. But as you say, your time is money so sometimes it’s better to forego the cheap option just so you can make the most of the time you have. Bummer about the fish sandwich! But hey, two choc muffins for lunch isn’t the worst thing a person can have! Ouch, I know what you mean about paying full price. I do it so rarely, I do cringe when I have to. At least it looks like the flight was worth it and you got there without all the layovers or the bus ride. Airswift seems so professional and put together that had to help with paying the extra cost of the flight! Its such a relief to know about the direct flight to El Nido. Especially after knowing it was involving eight hours to be wasted earlier. 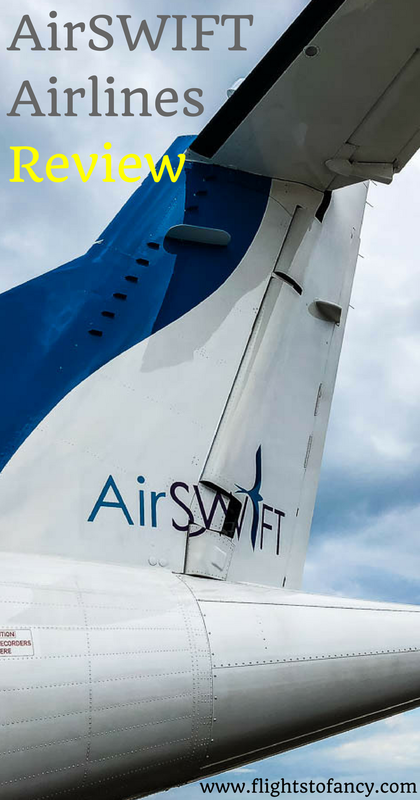 I liked the details shared about airlines and noting it for my future travel.Airswift was the airline I didnt know much until now and will recommend it to my friends as well. This sounds like a nice flight experience. 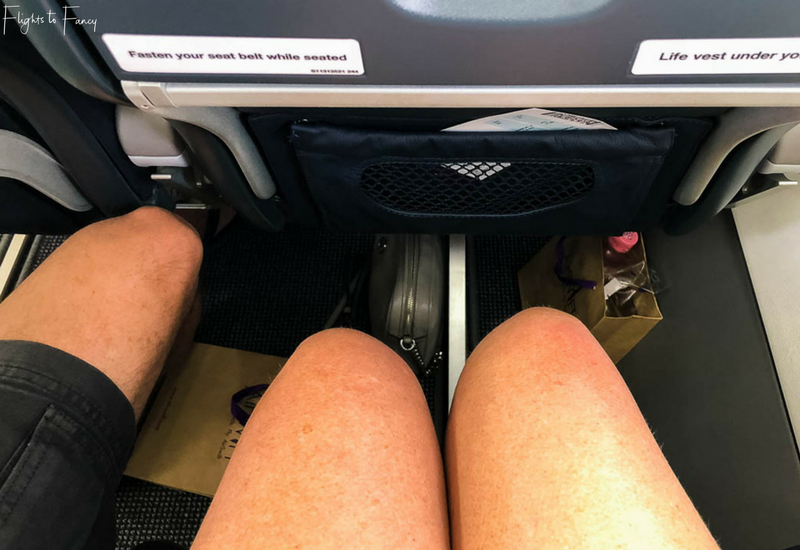 I really appreciate when the facilities make justice to the price, and stuff like the leg room and the food do make a difference. Good customer service is definitely a plus. Thanks for sharing your experience! 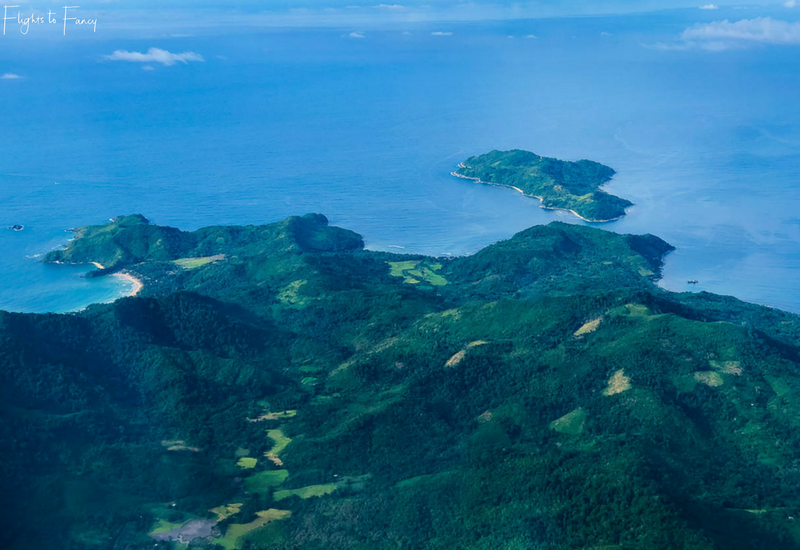 I suppose the steep price of this short flight is the price you have to pay to see just a jewel like el Nido. The airline seems nice enough for the short flight. I really like that they give you a small meal and the customer service was good. I’d definitely pay a bit more and opt for the flight rather than take an uncomfortable, 8 hour bus ride! 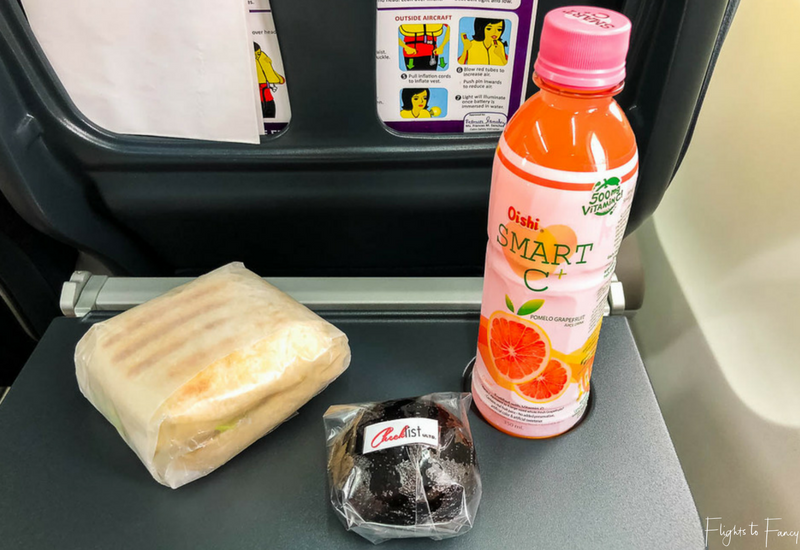 Airswift Airlines seems to be a good choice when flying to El Nido. It’s great they give complimentary snacks, and that the customer service was good too. The branded bags are very sweet and a nice touch too!